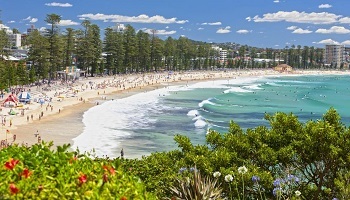 If you like to be where the action is, you can’t beat Sydney. 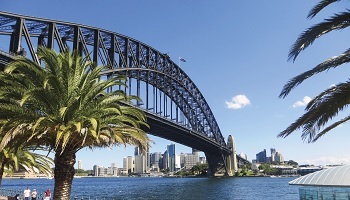 A modern, vibrant city with something for everyone: climb to the top of the Sydney Harbour Bridge for spectacular views, swim at a famous beach or take yourself on an exciting shopping expedition. Lamington National Park is the largest preserved subtropical rainforest in Australia and features spectacular scenery as well as a wide range of bird species. 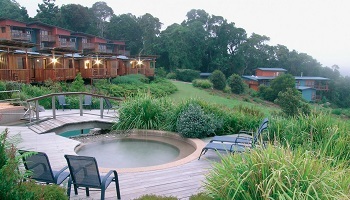 Stay at O'Reilly's rainforest retreat, the perfect place to get close to nature, or to just relax and unwind and leave the stresses of the world behind. 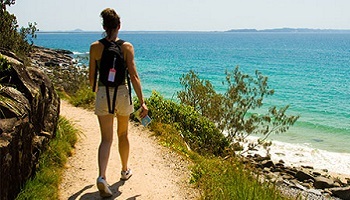 An overnight stopover in Noosa where the bushland and its natural creatures are 'right at the front door', then onto Fraser Island, the largest sand island in the world. The island is a place of exceptional beauty, with its long uninterrupted white beaches flanked by strikingly coloured sand cliffs, its majestic tall rainforests and numerous freshwater lakes of crystal clear waters. 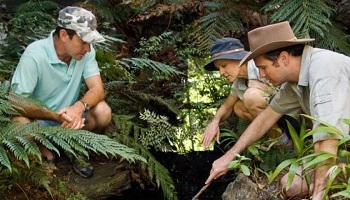 Fly Sydney - Brisbane and coach transfer to Lamington National Park. The valleys and peaks of Lamington are home to two types of rainforest: the warm tropical rainforest common in coastal areas of Queensland and remnants of the cooler subtropical rainforest that blanketed Australia when it was still part of Gondwana some 50 million years ago. 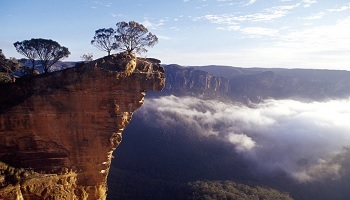 The park is the largest preserved subtropical rainforest in Australia and features spectacular scenery as well as a wide range of bird species. You will stay 2 nights at O'Reilly's, the perfect place to get close to nature, or to just relax and unwind and leave the stresses of the world behind O'Reilly's offers a range of guest rooms to cater to all tastes, from the grandeur of the luxurious Canopy Suites through the most popular Mountain View Rooms to the simple yet comfortable Garden View. Most rooms also take advantage of the magnificent mountain views. 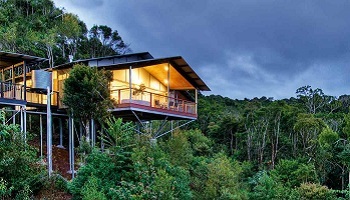 O’Reilly’s Rainforest Retreat offers an escape to the tranquil quiet of the environment. With no televisions or phones in the room to allow you to completely get away from it all, bird calls replace phone calls and rainforest views replace television screens. Coach transfer Lamington National Park to Noosa. 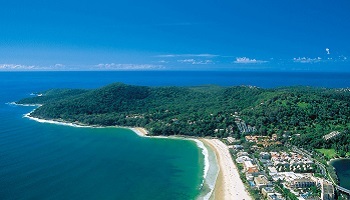 Noosa is the most northerly resort community of the Sunshine Coast extending from Peregian Beach to Noosaville on the banks of the Noosa River and includes the localities of Marcus Beach, Sunrise Beach, Sunshine Beach, and Noosa Heads. 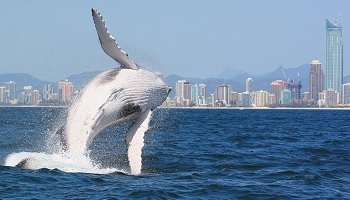 • an example of superlative natural phenomena. The island is a place of exceptional beauty, with its long uninterrupted white beaches flanked by strikingly coloured sand cliffs, its majestic tall rainforests and numerous freshwater lakes of crystal clear waters. Kingfisher Bay Resort complete with mirror lakes and waterholes, blends seamlessly with the island’s sensitive eco system. All of the accommodation has been designed to minimise any effects on the natural environment, conserve energy and minimise waste. An onsite worm farm turns waste into compost for the resort’s gardens and recycling is a must. Native bird and wildlife are easily spotted from the walkways, private hotel verandas or outdoor pools. The interpretive Rangers are locals who are passionate about Fraser and are happy to share their knowledge. 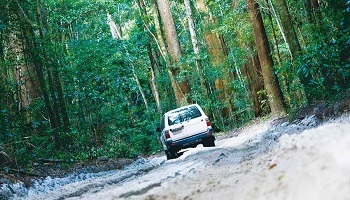 Your four-wheel-drive coach at the Kingfisher Bay Resort Village store, to commence a full day ranger-guided eco tour. 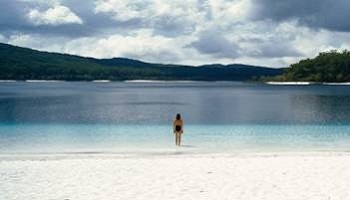 Learn about the natural and cultural history of Fraser Island and have the opportunity to swim in the crystal clear, blue waters of Lake McKenzie, the island's most beautiful lake. Lunch is served at Eurong Beach Resort. 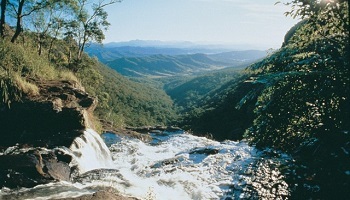 From Central Station, walk along the banks of Wanggoolba Creek, as it flows through the rainforest. 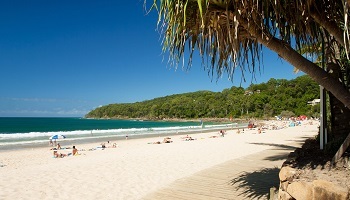 Drive along spectacular Seventy-Five Mile beach and stop to swim in the fresh waters of Eli Creek. This swift-flowing creek, the largest on The Eastern Beach, spills 80 mega litres of fresh water into the ocean every day. Visit the wreck of the Maheno and marvel at the coloured sands of the Pinnacles. See an ancient forest being uncovered as Stonetool Sand Blow moves across the island. Return on the launch and then coach to Brisbane. 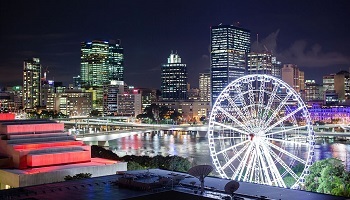 Spend your final two nights in Brisbane. 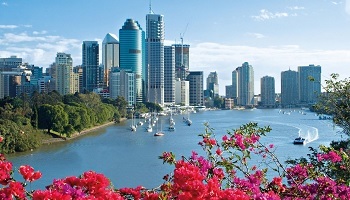 The capital of the Sunshine State, is located on the banks of the Brisbane River and enjoys a subtropical climate year round. During the last decade, the city has matured into a unique blend of historic buildings and sophisticated architecture. To cuddle a Koala, take a cruise along the Brisbane River to the Lone Pine Koala Sanctuary. Visit the South Bank development, the former site of the 1988 world expo and the Botanical Gardens. Explore Brisbane at your leisure or consider adding one of our boutique tour options, see our e-brochure or speak with an Aspire expert.